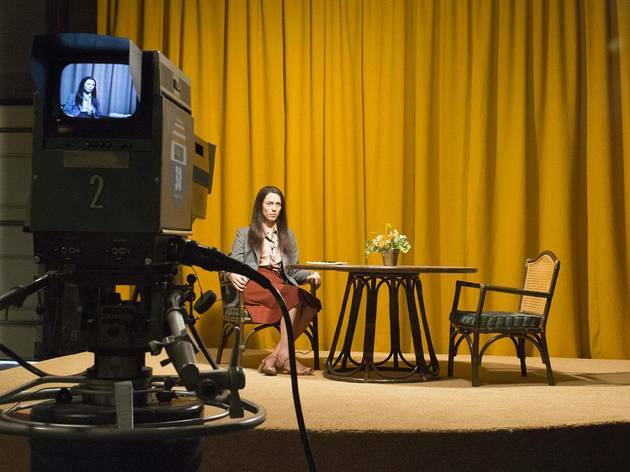 Reducing the great Rebecca Hall to a collection of glares, this weak dramatization of the final weeks of newscaster Christine Chubbuck is close to exploitative. Watching Rebecca Hall elbow her way, always with charming awkwardness, through movies as diverse as Vicky Cristina Barcelona, The Prestige and The Gift has been like discovering a new Diane Keaton without the floppy hats. She’s one of her generation’s great neurotic flutterers. 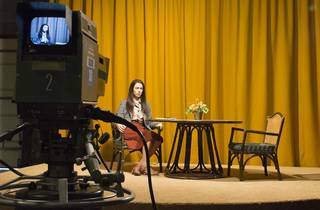 So it’s almost a crime against Hall’s subtle talents that she’s cast as cryptic Christine Chubbuck, the real-life Florida newscaster who took her own life on live television in 1974. Christine is conceived like a snuff version of Anchorman: Hall’s every twitch and scowl (triggered by a lousy date with a sexist pig, a terrible doctor’s appointment, a frustrating chat with her boss or mom) plays like a neon sign leading to her eventual doom. Chubbuck’s depression and suicide fed into Paddy Chayefsky’s screenplay for the 1976 movie Network—she may have been feeling the same thing as “mad-as-hell” news anchor Howard Beale, rallying against a coarsening media. But why, then, does Christine spend an unseemly amount of time on the gunshot footage? Was the camera taping at the time? Where is that tape now? Why is this even remotely necessary for us to know? These moments feel like going behind the scenes on Faces of Death. Hall plays Chubbuck like a slow-motion train wreck. She gives an almost comic performance, alternating between twitchy Kristen Wiig–like dismissals and a furious thousand-yard stare that burns a hole through the lens. The actual Chubbuck did puppet shows for children; if Christine’s over-the-top imagining of such activities was even partly true (it plays more like cringeworthy self-therapy), she’d never be allowed anywhere near a schoolhouse. A superior and recent take on this material, Robert Greene’s experimental Kate Plays Christine, is worth seeking out, both for its sympathy and deeper grasp of Chubbuck’s unknowable pain. Ironically, Christine’s director Antonio Campos (Afterschool) is capable of exactly that kind of riskiness, but the instinct abandons him here. He’s made a movie that builds to a terrible ending—one it doesn’t quite earn, even if those events really did happen.